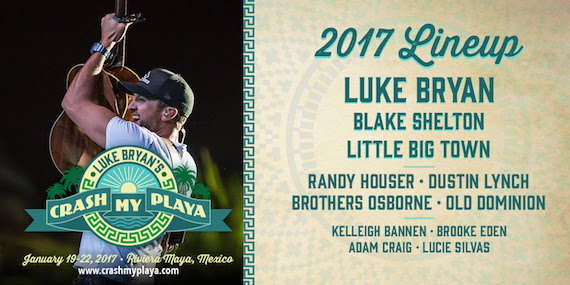 Luke Bryan and CID Presents are adding more artists to the lineup for Bryan’s Crash My Playa all-inclusive concert vacation, set for Jan. 19-22, 2017 in Riviera Maya, Mexico. Old Dominion, Kelleigh Bannen, Brooke Eden, Adam Craig and Lucie Silvas, along with DJ Rock, will join the list of special guests in addition to headliners Bryan, Blake Shelton and Little Big Town and previously announced artists Randy Houser, Dustin Lynch and Brothers Osborne. Little Big Town will headline the Thursday (Jan. 19) show, followed by Luke Bryan (Jan. 20 and 22 shows) and Blake Shelton (Jan. 21). View the full performance lineup at crashmyplaya.com. 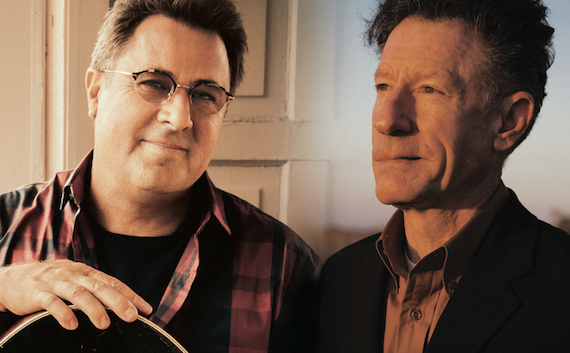 Vince Gill and Lyle Lovett will reunite for a nine-city tour beginning in March 2017. The duo previously teamed for a series of shows in 2015 and 2016. Each show will include solo performances and collaborations, and the artists will serve as their own accompanists. 2017’s headliners will include Thomas Rhett, Jason Aldean, and Lady Antebellum.